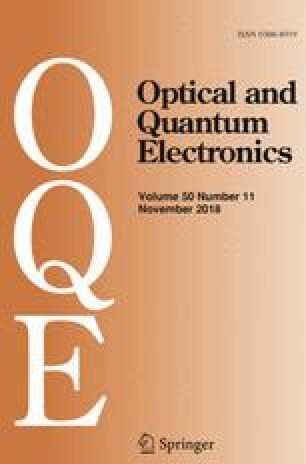 In this paper, a reconfigurable Radio over Fiber system based on optical switches, optical multimode interference power splitter and tunable optical filters is designed, which can achieve quadrature phase shift keying wireless modulation in optical domain and switch carrier frequency between 30 and 60 GHz. The scheme can make good use of bandwidth resource and realize signal transmission in fiber within 10 km. This study is supported by National natural science of foundation (61571273, 61771292), Open Fund of IPOC (BUPT), Natural Science Foundation of Shandong Province of China (ZR2016FM29) and the Fundamental Research Funds of Shandong University.